When MÂKUA JOYAS reached out to Loam, we were excited to learn more about their efforts to meld environmental sustainability and socially conscious style in Colombia. Creative Director Maria Paulina Arango Arango and Daniela Tobón Acevedo collaborate with an incredible crew of artisans in their native Colombia to create keepsakes that "combine indigenous ancestral techniques with contemporary vision." By emphasizing accountability to the land and its inhabitants, MÂKUA shows that adornment can serve a deeper purpose. Although there are many social enterprises that operate a model similar to that of MÂKUA, few are as community-centric. MÂKUA was founded by Colombian women and created in collaboration with Colombian women. And in this way, it is as much an example of vital intergenerational connection as it is evidence that achieving business success doesn't have to mean waylaying sustainable practices. 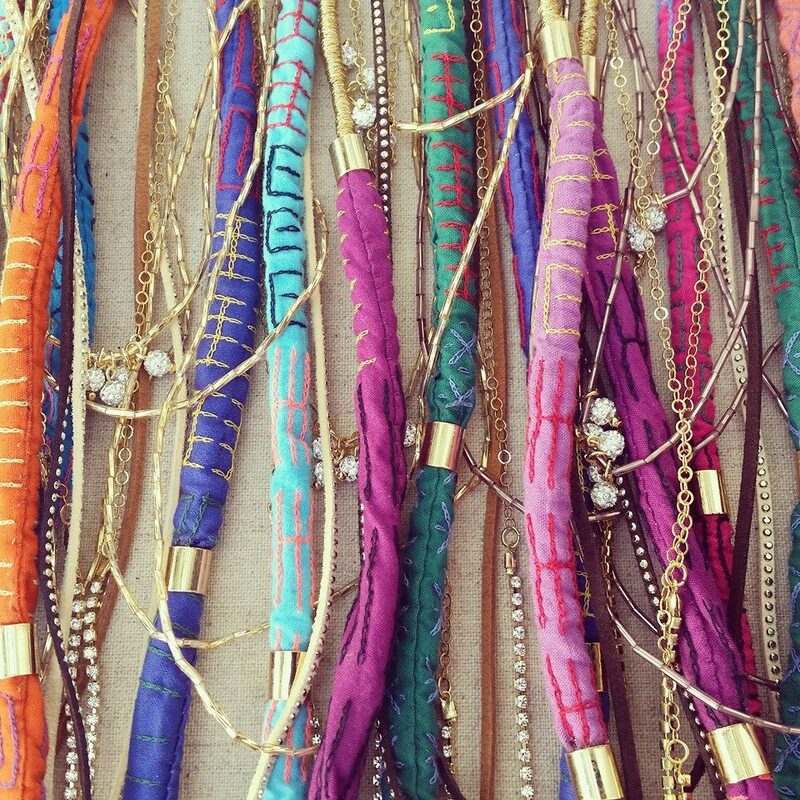 MÂKUA JOYAS makes beautiful things: necklaces inspired by nature, vibrant-colored bracelets that evoke tropical treks. But more than anything, the MÂKUA team is in the business of doing right--by their community, by their environment, by their culture. Privileging people over profit is important in our pursuit of meaningful social change: here's hoping that more and more businesses adopt the same socially conscious perspective as MÂKUA. We can't wait to see what this emerging brand is building!